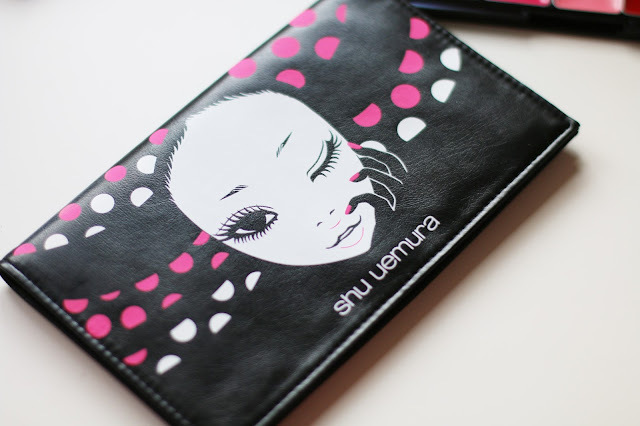 Today I'm very lucky to be able to review and share my thoughts on the newly launched Shu Uemura Tokyo Doll Makeup Palette, specially designed to suit Asian skin tones and adhering to Asian beauty styles. 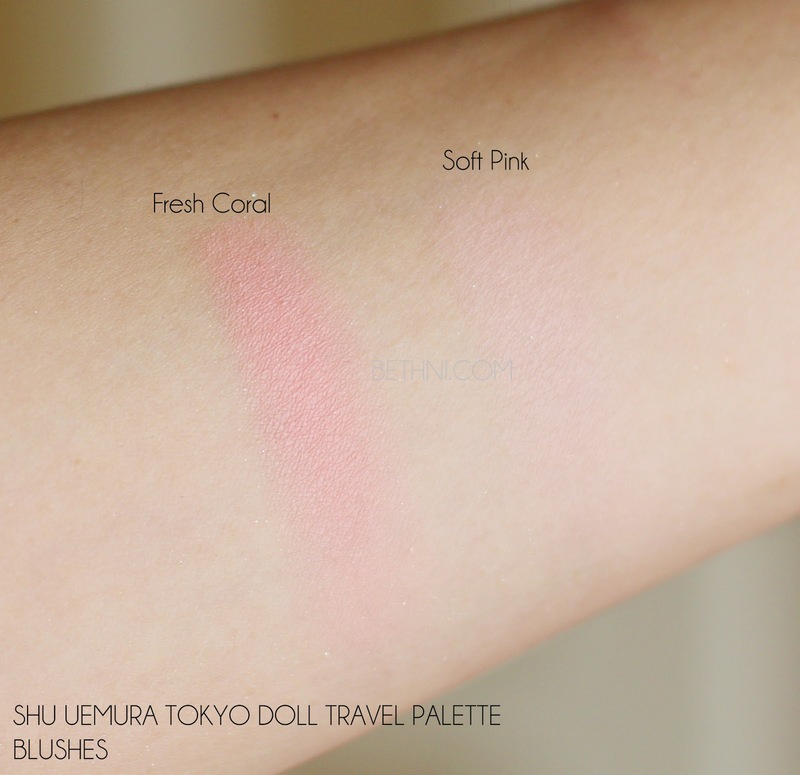 As you can see from the swatches, the colors are fairly pigmented with the exception of 'Soft Pink' blush which is literally what it is. For pale Asian skin tones, it would look very sheer and natural, however as you can see, even on my arm it is extremely subtle and light in color. The eyeshadow combinations are great - with two combinations, you have the choice of creating both daytime and evening looks. I'd say it does take a little time to blend the eyeshadow out completely. However, in terms of pigmentation and color combo I am very pleased. Not sure how much use I'd get out of the Crackling White Gold, but you never know, if you're going to a party, special occasion or date night it may come in handy! 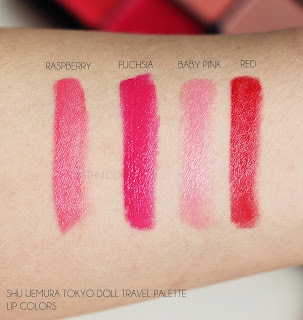 As for the lip colors, you have a selection of three pinks and one red - nothing too crazy or unwearable. I was extremely impressed with the lip color formula. 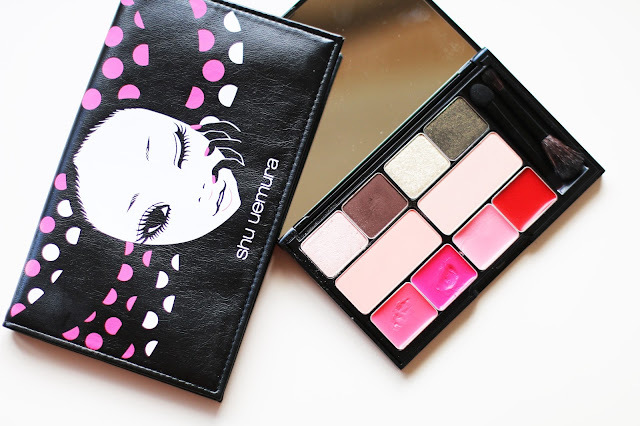 Usually I find lip colors in travel palettes particularly sticky and not smooth enough - however the color glides on solidly on the lips and was fairly nourishing throughout the day (lasts about 7 hours but does end up a bit patchy by the 8th hour). I love it when palettes come with fluffy eyeshadow brushes. Sponge-tip applicators annoy the heck out of me! The Blush Brush is a bit too tiny, but when I used my own blush brush I caught some eyeshadow pigment on it too. 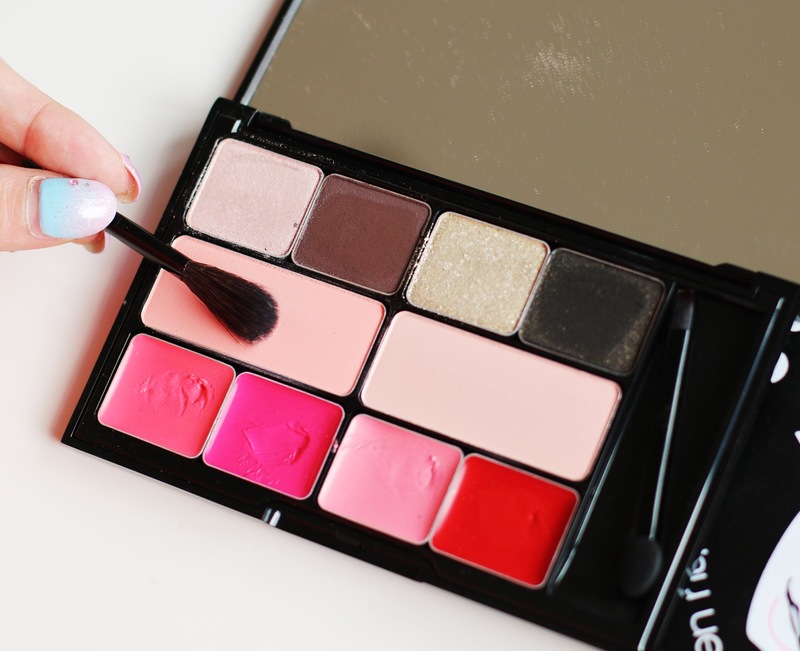 A flat brush may be easier to use with this palette if you're not a fan of the brushes that come with it. Brush 2: One sponge tip applicator and one lip brush I hate sponge tip applicators. With a passion. However, this lip brush is amazing. Maybe it's due to the fact that I don't really own any lip brushes so I have nothing to compare it too, but I loved using this lip brush! It provides a very accurate application and is extremely soft. The lip color formula and this lip brush are a match made in heaven! 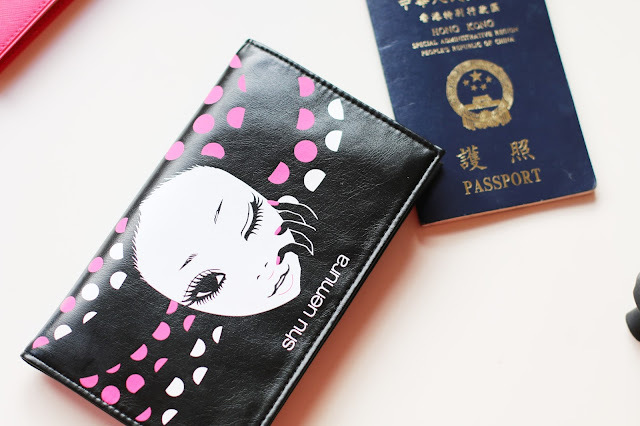 So that wraps up my review of the new Shu Uemura travel palette. I hope it helps you out and see you in my next post! Disclaimer: I was not paid to write this post. The palette was kindly gifted to me by Triniti Communications for review/consideration. All opinions as always, are honest and completely my own.